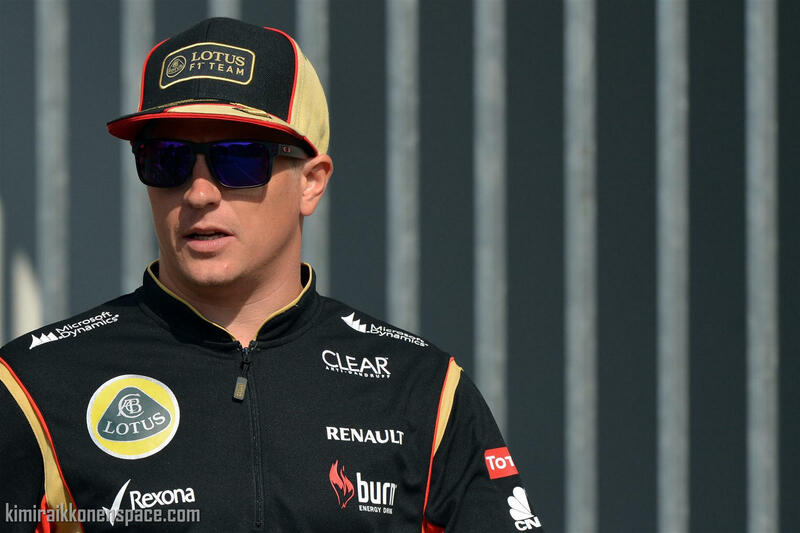 In interviews, Formula 1 driver Kimi Räikkönen makes no effort do hide his distaste for the media. In an Interview with Tagesspiegel, the Finn speaks in his usual way about a possible change to Red bull and his relationship with Sebastian Vettel. Q: Who is the better driver, Sebastian Vettel or you? KR: Who is the better driver? He is standing ahead of me in the championship. Q: Is it because he has the better car? KR: Everyone always asks who is the best, who is the best? It’s very hard to say. Q: Do you not talk about these things when you two meet in Switzerland? KR: We do not talk about racing. If we see each other out of the races, there are much nicer things to do (smiles). Talking about driving on the track is enough. Q: Do you think that your relationship would stay good if you were in the same team? KR: I don’t know. But I see no reason why it shouldn’t work. There are many friends who are teammates. Q: Red Bull is certainly interested in you, but the motorsport advisor Helmut Marko says that events with sponsors and media are a part of the deal. KR: I have to do that here as well. There is hardly any difference, I don’t know why people think that I don’t do sponsor events. Someone says something, and everyone thinks it’s true. Q: Vettel says that you’re not so quiet as you always seem here. What exactly about publicity makes you uncomfortable? KR: I don’t feel uncomfortable, I just don’t want to talk to you. You ask me questions about Formula 1, but there are not so many answers that I can give you. And I have no interest in talking about my life outside Formula 1. Q: People are interested in the person Kimi Raikkonen. KR: It doesn’t matter to me. I have my life and I have Formula 1. Q: Another Formula 1 Legend, Jackie Stewart, advises you on Red Bull. He thinks that there Vettel has an unassailable advantage because of his connections. KR: Naturally I know my team here also better than in the beginning, and that helps. He knows his team, he has won titles there, but he does not make the decisions and does not direct the team either. Q: Vettel’s teammate Mark Webber, who is leaving, says that the German will always be favoured by Red Bull. KR: I have no idea, you have to ask him that. Q: How long will you still drive in Formula 1? Most drivers say they want to stop at the right time, but maybe they think that at 40 they can’t fight enough. KR: I will not be here when I’m 40, that’s for sure.